A report from the European Deaf Cycling Championships held in Belgium in August. 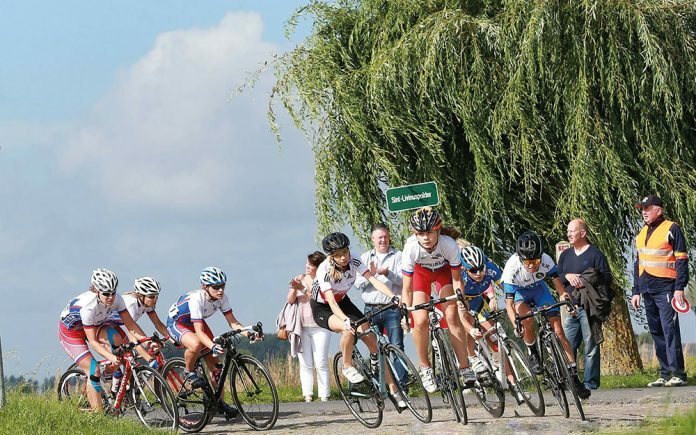 The 8th European Deaf Cycling Championships were held between August 14-20 in Bruges and Eeklo in Belgium. Great Britain sent a team of three: Bethany Brookes, Nicholas Mugridge and Nick Brookes. They were supported by two team members, Fiona Brookes and Matthew Johnston. The competition came from 14 other countries and numbered around 80 riders, including some well-prepared Eastern European teams. 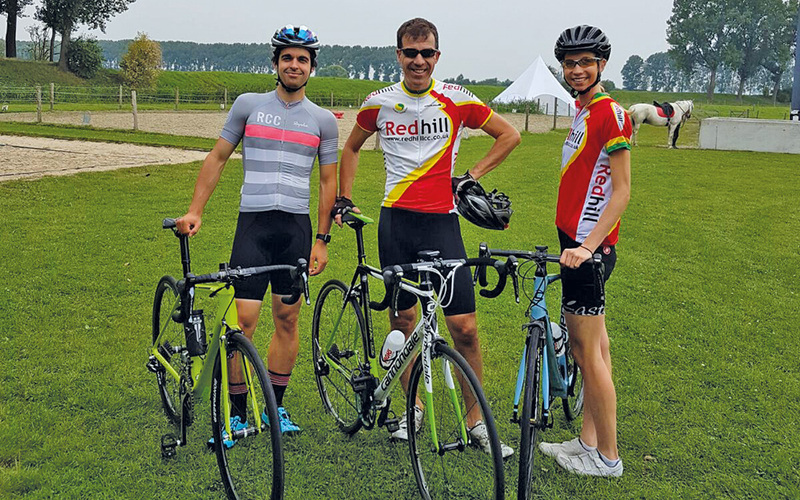 The organisers had arranged an outstanding course which included 1.2km of cobbles, a 4km straight over open farmland into a strong headwind as well as a mixture of wide and narrow roads. Throw in some farm yard residue from local tractors, and you had a typical Flanders race set-up. A recce the day before confirmed that the cobbled section wasn’t as treacherous as feared, but still needed complete respect. Bethany finished in a very respectable 6th place in the women’s race. The first few laps of her race were a cagey affair, with riders adjusting to the windy conditions. After 3 laps, a lead group of seven made up of three Russians, an Italian, a Ukrainian, a Czech and Bethany had broken away from the others. This remained the case for the rest of the race, and was a huge learning experience for Bethany, who is still relatively new to racing. She had to constantly fend off attacks by the Russians who had an advantage in numbers, whilst watching out for the damp cobbles and passing race vehicles. The latter was a lot more challenging without hearing aids. As the race drew to a close, one of the Russian girls was simply too quick coming off the final corner and pipped everyone on the sprint to take a well-deserved European title. In the elite men’s 120km race, Nick was riding strongly in the front bunch, hitting his best ever 20 minute power, until a mechanical problem on the cobbles forced his retirement. Nevertheless, he gained some very valuable experience ahead of next year’s Deaflympics road race in Turkey, at which both he and Bethany hope to represent Great Britain. For Nick, this was his first experience at a deaf-only competitive sports event. Daughter Bethany has already had several years’ worth of experience competing as part of the GB deaf Tennis team. She made the transition to cycling a year ago. Bethany Brookes: ‘’Belgium has been both a fantastic and an eye-opening experience for me. It has been great to be able to race against other deaf cyclists. This has made me realise how high the standard is and what I now need to do to step my cycling up to the next level. I am aiming to claim a place on the podium in the future. Being relatively new to racing, the course itself proved challenging. It was not just going as fast as possible on the bike that I had to worry about but also the added obstacles of the wind and a 1km long cobbled section. We had to navigate these safely while not falling behind in the race. If you are interested participating in deaf cycling then please contact Nick Brookes at nickbrookes4@gmail.com. The Organisation Committee awarded a Special Award of Merit to the Ukrainian Yelisaveta Topchaniuk for her perseverance and courage to continue with cycling after a terrible accident at the beginning of the Championships! Bruges was the venue for the EC Sprint Cycling and EC Points Race Cycling. Eeklo and Sint-Laureins was venue for the EC Time Trial Cycling and EC Road Race Cycling.